When members of Turkey’s military tried to seize control of their country last week, Turks living overseas – including in Alaska – weren’t immune to fear and uncertainty. Muzaffer Uyanik is Kurdish and was born and raised in a town in eastern Turkey close to the Iranian and Iraqi borders. 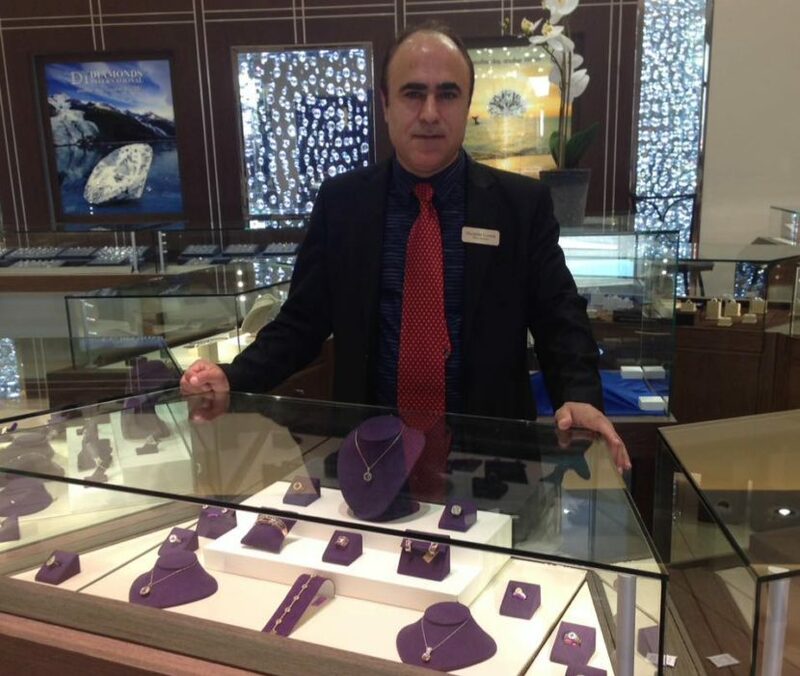 Now, Uyanik is a salesman for Diamonds International in downtown Juneau. He said he was caught off guard by the attempt to overthrow Turkey’s elected government. Members of the Turkish military tried to seize control in the middle of the night while Turkey’s president, Recep Tayyip Erdogan, was away on vacation. The failed coup left more than 290 people dead and more than 1,400 wounded, according to the Turkish Ministry of Foreign Affairs. The Turkish government has arrested more than 6,000 people in connection with the attempt and more than 100 of the people killed have been branded conspirators. Uyanik believes some members of his family are safe. His mother, brother and two of his sisters who live in Izmir, in western Turkey, were far from the fighting. He’s less certain about his two sisters and their families who still live in his hometown to the east. Uyanik believes the coup was staged by supporters of the same cleric President Erdogan accuses of instigating the power grab – Fethullah Gulen. Aykan Erdemir, a senior fellow with the Foundation for Defense of Democracy in Washington, D.C., has been following the situation in Turkey very closely. “I’ve been up non-stop for the last 36 hours – only slept one hour. It’s really non-stop, it’s such a mess as we can see,” Erdemir said. Erdemir also served in the Turkish Republican People’s Party as a member of parliament between 2011 and 2015. He said the cleric, Gulen, is the central figure of an international network of schools, charities, businesses and media outlets. Erdemir said Gulen and Erdogan were political allies up until 2013, but now they “are almost like archrivals”. “For the prime minister and president, this is a Gulenist clique within the Turkish military. He calls them a parallel state and he thinks they are out to overthrow him,” he said. Uyanik said he’s not a fan of president Erdogan, but he’d rather Erdogan’s government remains intact. “Gulen is more dangerous than him actually. He’s very dangerous. He’ll do anything to have the power even if it’s going to cost people’s lives. He wouldn’t mind, he wouldn’t care,” said Uyanik. Erdemir doesn’t know if a Gulenist faction was behind the coup. He stressed that he wouldn’t expect Gulen, a spiritual leader, to take a political post. “The community is not a political movement, is not a political party, but over the course of their history they change allegiances, they support one party or another during their term,” he said. Erdemir is more curious how Turkey will move forward after the failed coup. He said the president has an opportunity to move Turkish democracy forward by capitalizing on the country’s strong endorsement of the democratically elected government over a military takeover. But, he doubts that will happen. “He will probably use this coup d’état attempt, failed coup, as an opportunity to crackdown on dissidents, to consolidate his powers and to push for an executive presidential system which will give him unprecedented powers,” Erdemir said. Uyanik thinks that, even before this latest crisis, Turkey has been steadily losing western countries’ respect, a trend he is afraid will continue. “We’re losing it. Turkey is losing the good feelings that Europe and western countries had about Turkey,” said Uyanik.